Great news for iPhone 4 users in the Middle East ! There is a new hack available in Cydia which can enable FaceTime in unsupported countries like the one in Middle East on jailbroken iPhone 4. Simply follow the step by step instructions posted below to activate FaceTime on your iPhone. Step 1: First up, you will have to jailbreak your iPhone on iOS 4.1 using GreenPois0n or Limera1n. Instructions can be found here. Step 2: Once you are done with the jailbreak, Start Cydia, touch on “Manage” tab on the bottom, followed by “Sources”. Step 3: Now touch on “Edit” and add http://apps.iphoneislam.com repository. 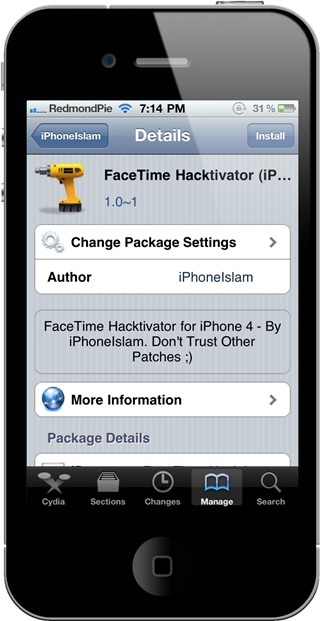 Step 4: Once the repository has been added, Search for “FaceTime Hacktivator” in Cydia and install this application. This app will automatically patch all the files required for the FaceTime toggle to show up in Settings. Step 5: Now reboot your iPhone and then navigate to Settings –> Phone and tap on the FaceTime toggle to turn it on. Your iPhone will now send an international SMS to activate FaceTime. That’s it! 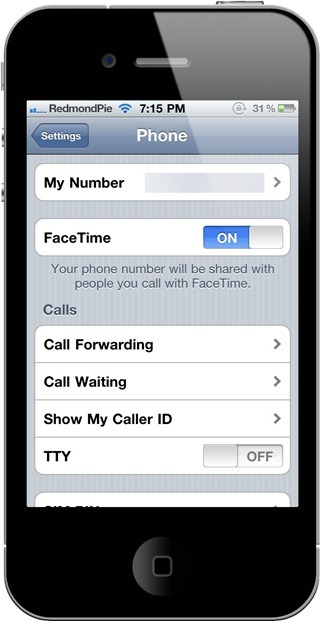 Once FaceTime has been activated, you can make normal phone calls and then tap the on-screen FaceTime option once connected, or you can make a direct FaceTime to FaceTime call by selecting an individual contact and tapping the “FaceTime” button from Contacts app. By any chance would this work for iPhone 4s that are working on unsupported carriers in the US, like T-Mobile?